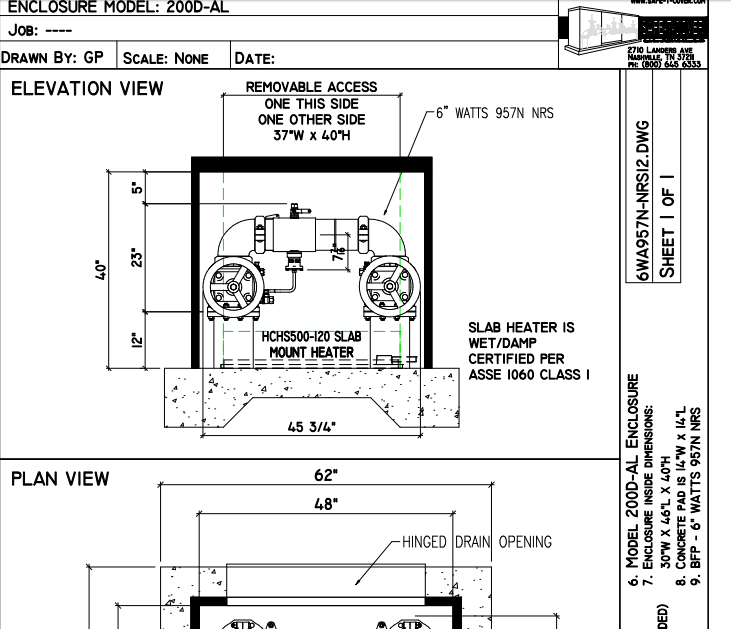 Backflow prevention is not at the forefront of most design engineers' minds. It's not their fault, as this is a small component of the overall project design. Our aim is to make it both simple and painless to design the best backflow prevention system possible. According to many of the designers we've worked with across the country, our backflow cover sizing guide does exactly that. Here is our favorite way you can use it to get exactly what you need. The sizing guide is a seven step calculator that can narrow down all the myriad of backflow assembly choices to just one. However, we think the best way to use it is to search for the smallest solution available to you. This means you'll leave some of the options blank. Choose whether you need an RP, RPDA, DC or DCDA valve. Then, you can select the pipe size designed. This can be the domestic line, fire line or irrigation line. However, don't be tempted to choose the manufacturer and model - leave those blank. Even if you're used to specifying a certain brand, it is useful to check them all. Depending on whether it's a domestic or fire line, you can choose whether the shutoff valves will be NRS or OSY. It is most common that you will not need a strainer and the valve clearance is 12". Those will both affect the size of the enclosure, so it's important to find out. The best way to do so is find your municipality's standard details. You'll end up with a list that includes a variety of manufacturers and models. A sure way to end up with an exceptionally large backflow preventer enclosure is to stay with the same design from years past. Smaller backflow preventer designs are available, particularly the "N-Type", which results in a small footprint for the enclosure. The key to finding the smallest enclosure solution possible, is to look at the "cubic volume" column. These vary greatly by model, which is the reason why we left those blank. For instance, for a 6" reduced pressure zone backflow assembly with NRS shutoff valves, no strainer, and 12" clearance, the cubic volume varies from 57,024 to 201,600. Now that you have a list of backflow preventer assemblies which will all work for your project, read through the columns to see which backflow preventer enclosure combination will work best. 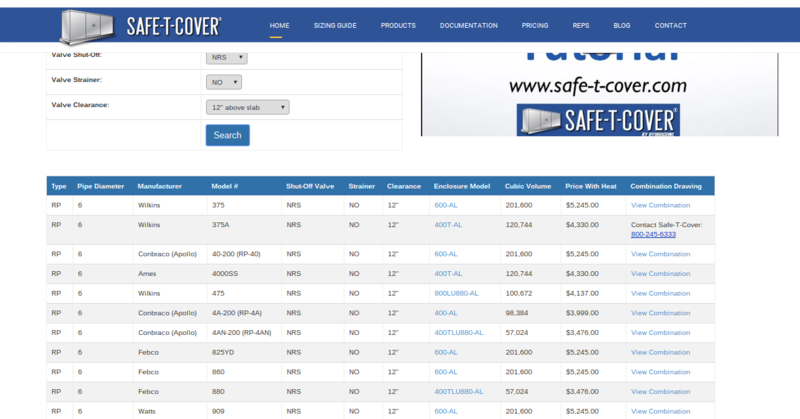 You can view the prices of covers, narrow down which model number is your smallest solution, and view the products themselves. 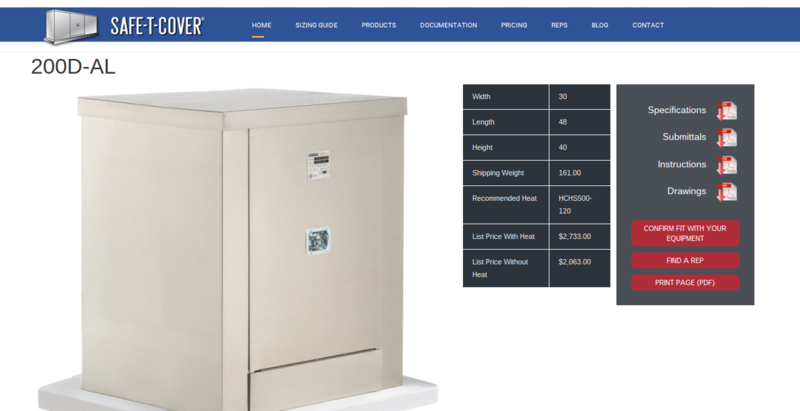 Click the enclosure model links to see a picture of the enclosure and get access to the specs and instructions for that model. You an also see standard details of the backflow device inside the boxes. There is a plan and elevation view, so you can actually drop it right into your plans. This is our favorite way to use the sizing guide tool. If you'd like more information and guidance on how to make the most of it, watch our video below.